Organizations of all sizes and across all industries are exploring their path to the public cloud. However, many enterprise customers are still uncertain about the optimal approach. A common thread ties most of my conversations with these customers – they like the flexibility and hands-off agility of public cloud, but would prefer to retain control over their data and enjoy the performance they see with their on-premises storage solutions. I’m excited to share that Dell EMC is working with Google Cloud to offer Dell EMC Isilon, the industry’s leading scale-out NAS platform,  for Google Cloud Platform (GCP). Currently in early access, Isilon Cloud for GCP allows organizations to deploy a dedicated Isilon infrastructure with secure and sub-millisecond latency network access to GCP Compute Engine clusters. Dell EMC will provide 24×7 proactive monitoring and support of the environment, while the customer will be able to maintain full access to all OneFS management interfaces. Organizations can now deploy performance intensive file-based workloads, such as automotive design simulation, EDA chip design, and genomic sequencing, on Isilon Cloud for GCP. This provides organizations the best of both worlds: customers retain the value they experience with Isilon today – massively scalable NAS, high performance, management simplicity, and more – now turbocharged with the capabilities of Google Cloud Platform. 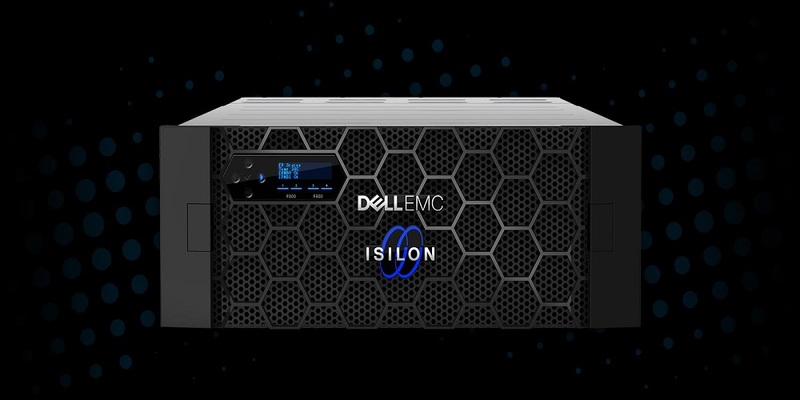 NAS in the cloud without compromises: Fully featured Dell EMC Isilon with the same predictable file performance and linear scalability that customers enjoy with Isilon in their datacenters. Access to GCP services: GCP’s robust analytics and compute services, allowing them to extract more value from their NAS data. Hands-off operations: Management of Isilon Cloud for GCP with 24×7 proactive monitoring and maintenance from Dell EMC. Peace of mind: An enterprise grade NAS solution in the cloud with dedicated hardware and network – eliminating data compliance and security concerns arising from a shared storage environment. Together, Isilon and Google Cloud Platform can help organizations take the next step in their journey to the cloud. Isilon Cloud for GCP is now available via an early access program, and customers interested in joining the program should contact their Dell EMC representative for more information.